Why do borrowers prefer SBI Home Loan? You are here >> Home >> Home Loan >> Why do borrowers prefer SBI Home Loan? SBI Home Loan is most preferred among the borrowers. This is based on a study done by me during last 6 months. On my blog, i receive maximum queries on SBI Home Loan. Though i always take neutral approach and suggest options like SBI, ICICI Bank or Axis Bank to potential borrowers. I personally interacted with many borrowers to understand why they prefer SBI Home Loan. Through this post, i would like to share the experience of blog reader’s on SBI Home Loan. Towards the end of the post, i have highlighted few cons/problems faced by my blog readers so that potential borrowers can make an informed decision. I always suggest borrowers to discuss the requirement with a couple of Home Loan providers. Depending on the requirement, a borrower may finalize the Home Loan provider only after comparison between 2-3 Home Loan Providers. 1. Trust: State Bank of India is India’s largest PSU bank or Govt Bank as the people call. In India, somehow human psychology is that Govt banks are more trustworthy and if something go wrong then Govt will rescue the bank. In short, Govt bank will not fail. Even if the Govt Bank fails, Govt will rescue the bank. The best example is recent capital infusion by Govt of India in PSU banks to revive their financial health. According to recent The Brand Trust Report, 2015, State Bank of India or SBI is India’s must trusted Brand in Banking sector. Besides SBI, ICICI Bank is the only bank which feature in India’s top 50 trusted brands. The trust factor is the most crucial factor why borrowers prefer SBI Home Loan. Large queues in SBI branches are proof that it is the most trusted bank. 2. Lowest Interest Rate: You can take it for granted and in writing that SBI Home Loan Interest Rate will always be lowest among all the banks. One of the reason is a scale of operation i.e. economies of scale. Secondly, SBI has access to cheap funds as the CASA ratio is one of the best among all the banks. Lastly, SBI is the largest home loan provider in terms of Home Loan Book value. In fact, SBI is the market leader in defining the direction of Mortgage industry. If SBI Home Loan interest rates are cut then all other home loan providers follow the suit. The best example is REPO Rate cut by RBI in January this year. It was SBI which cut the base rate first and then others followed the suit. 3. Hidden Charges: It’s a general perception among borrowers that SBI Home Loan is most transparent among all. In short, there are No Hidden Charges if you avail SBI Home Loan. I personally disagree, but you cannot do much about customer perception. One of the reasons for this positive perception is TRUST factor. In fact, i observed that SBI charge highest processing fees and other misc charges among top 3 Home Loan providers. The main reason is the negative word of mouth publicity against small players and other large private banks. Processing fees is subjective and can be negotiated. 4. Legal Verification: I personally agree that legal verification process of SBI is one of the best. SBI Home Loan is approved only after strict and thorough due diligence. The selfish motive of a bank is to keep NPA’s under control. If the project is approved by SBI then be assured that the probability of any legal issue in the project is minimum. At the same time, i always suggest my readers to go for Title Search Report even if the project is approved by SBI. The reason being the project due diligence is done but what about due diligence of your property/flat. 5. SBI MaxGain Home Loan: Though is not pushed aggressively by SBI but in my opinion MaxGain is one of the best Home Loan products. It can help you save substantial interest outflow if MaxGain account is used intelligently. Though other banks also provide similar product but in my opinion SBI Home Loan with MaxGain feature has its own advantage. Reason being, SBI Home Loan with Maxgain feature is available at the same interest rate as normal SBI Home Loan. In other banks, the interest rate for similar Home Loan product is slightly higher than regular Home Loan Interest Rate. 6. Branch Network: SBI has the largest network of bank branches i.e. 13000 branches. A common perception is that borrower can operate SBI Home Loan from any of these 13000 branches i.e. convenience to operate SBI Home Loan account from anywhere but it is not true. Though, through online home loan account interface you can perform most of the basic functions. A borrower who is not comfortable with an online account may find it difficult to operate the SBI Home Loan account. All key requests are accepted only in home branch. 7. Personal Relation: Last but not the least, though this point may sound illogical in big cities but it is true for small towns and cities. Almost every household has an account in State Bank of India in small cities/towns. The branch manager or bank employee of a bank know all the customers personally. Reason being they join their service in same branch/city and retire in the same city as a Branch Manager. In short, borrower avail SBI Home Loan purely based on the personal relation with the Bank Manager or Employee of an SBI branch. By the way, my parents also availed SBI Home Loan as they knew branch manager. Unfortunately, SBI branch manager sold SBI RiNn Raksha policy (HLPP) to my parents. I can highlight many more points which are other possible reasons for borrower’s preference towards SBI Home Loan. In my opinion, above mentioned 7 points cover most common reasons. Please check out following section for another side of the story based on the experience of reader’s of my blog. 1. Delay in Home Loan Processing: The experience of my blog readers and clients suggest that SBI Home Loan processing is bit slow. Normally, it takes 2-3 weeks time to process Home Loan but SBI may take up to 4 weeks provided all the documents and property papers are in place. You may include relevant clauses in your agreement with the seller for a possible delay in SBI Home Loan processing. 2. Home Loan Eligibility: Another common feedback is related to stringent Home Loan Eligibility. Though the intentions are noble as SBI don’t want borrowers to default on EMI payment. Normally EMI across loans including Home Loan should not exceed 50% of net take home salary. Private Banks or HFC’s relax this % up to 60% thus increase Home Loan Eligibility. It is subjective but in my opinion strict Home Loan Eligibility will help reduce NPA’s of the bank. Buyer looking for higher home loan eligibility may skip SBI Home Loan. 3. Mis-selling of HLPP: Most of the borrowers of SBI are from lower or lower medium class. These borrowers are not financially aware, therefore, are victims of mis-selling. Normally, Home Loan Protection Plan is bundled with SBI Home Loan. Though any financial bundling is illegal. HLPP in SBI is known as SBI Life – RiNn Raksha i.e. Group Credit Life Insurance Plan. You can always refuse to avail this insurance plan. Branch Manager or Bank Employee may threat to cancel you SBI Home Loan. One of blog readers shared his experience of bullying by SBI branch manager. Trust me nothing will happen. Even if you refuse to buy HLPP / RiNN Raksha, no one can stop your SBI Home Loan provided all the documents and property originals are in place. You can simply refuse the HLPP and defy the bullying/mis-selling. 4. Staff Behavior: This point is contrary to point shared by my readers as one of the reasons to opt for SBI Home Loan. Many borrowers don’t find SBI staff friendly and supportive. This feedback is predominantly from borrowers in metros and big cities or crowded SBI branches. I do understand, but SBI needs to undertake staff optimization exercise. Some branches/counters are overcrowded while others are comparatively free. Hope you liked the post. It is always advisable to approach 2-3 banks before you apply for Home Loan. 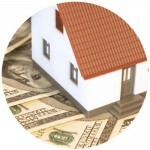 Depending on your requirement you may finalize the Home Loan provider. I hope above-mentioned feedback or inputs from readers of this blog will help you in right decision making.